Thank you for changing a child's life! The 2018 Camp Shalom Scholarship Fund awarded $113,817 in full and partial scholarships - sending 90 children to Camp Shalom. Each summer, the need for scholarships increases and this summer the 2019 Camp Shalom Scholarship Fund goal is to raise $110,000. Thank you to all the individuals, families, and businesses who donated to the Camp Shalom Scholarship Fund over the years. To date, we have reached our goal each year thanks to the generosity of many. Throughout the six decade history of Camp Shalom we have never had to deny a child a summer camp experience because of financial need. Thank you for helping us to continue this tradition. The average salary for families applying for a scholarship is $23,200. There are families with health situations that leave them with no extra money for child care as well as some of their basic needs. There are families where the grandparents are doing everything in their capacity to take care of their grandchildren while the moms or dads are incarcerated. There are parents who work three jobs and still do not have enough money to send their children to a quality summer program. These are just a few examples of families who have extenuating circumstances who could otherwise not afford a quality summer camp experience for their children without the help of a scholarship. Since 1954, Camp Shalom has been providing children with an outdoor day camp experience in a safe, fun and nurturing environment. The 154 acres of naturally wooded land at the Irwin A. and Robert D. Goodman Jewish Community Campus in Verona provides a wonderful setting for a variety of programs including swimming, sports, arts and crafts, and other confidence and skill building activities. We expect to serve about 1,000 children this summer representing various religions, ethnicities and levels of physical and mental ability. Without exception, families tell us how grateful they are and how much their children love Camp Shalom, an experience the children would not have without scholarship support. Please help us send these children to camp! Whether it is an individual donation or a corporate sponsorship, you can make a difference! Camp Shalom is one of the oldest youth-serving programs in Dane County. It has taken the involvement of many to accomplish what we have. 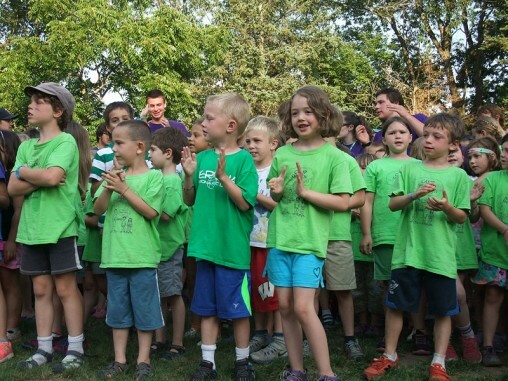 Thank you for helping the children of our community, and thank you in advance for your donation to help make the 65th summer of Camp Shalom the best one yet! For more information, please contact Ellen Weismer at (608) 278-1808 or shalomdirector@jewishmadison.org. Support the Camp Shalom Scholarship Fund and help send a child in need to camp by becoming an Individual Donor.